The Painting Center is pleased to present Vista and Strata, an exhibition of recent mixed media works by Andrea Packard. Packard's animated and undulating landscapes harmonize disparate layers of painting, printmaking, and fabric. Her vibrantly colored works evoke wooded groves, rolling, hills, rocky outcroppings and tidal inlets & scenes inspired by woods and wetlands that have been threatened or destroyed by development. She does not represent such sites literally but looks for ways to evoke nature's power to inspire. Portraying dynamic landscapes with the myriad languages of printed papers, painted surfaces, and woven fabrics, she likens the mutability of nature to cultural constructs that also clash, transform, peak, and fade over time. The exhibition's title, Vista and Strata reflects the artist's interest in synthesizing distinct and often contrasting realities or viewpoints. In her works, the layered leaves, rocks, and natural detritus us are just as compelling as the distant or dramatically framed view. 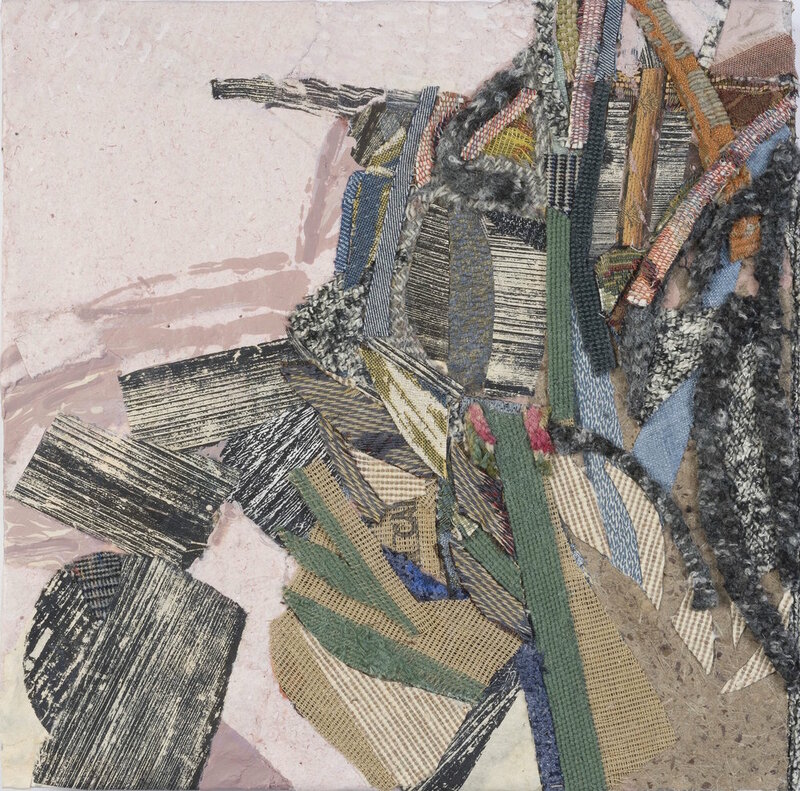 Whereas much collage practice emphasizes the cacophony of disparate materials, jagged edges, and the flatness of the picture plane, Packard takes a painterly approach that both celebrates and harmonizes difference and duality. Vista and Strata also features Packard's recent carved and painted wood panels. The centerpiece of the exhibition, Midnight Glory, is a six-by-five-foot-tall vision of rocks, rivers and trees bathed in sparkling moonlight. Using woodcut tools, brayers, brushes, and knives, her additive and subtractive process allows her to improvise anddiscover the composition gradually over time. She searches for an image that appears not to be painted so much as excavated from innumerable layers of wood and ink. The vista- a distant horizon and moon- becomes inseparable from the material strata from which it is made.